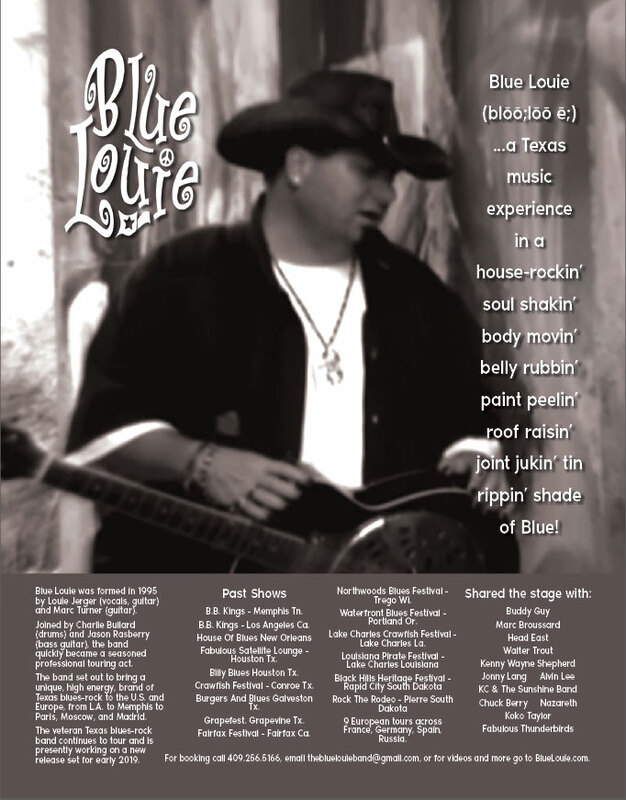 Blue Louie (blōō;lōō ē;) …a Texas music experience in a house rockin’ soul shakin’ body movin’ belly rubbin’ paint peelin’ roof raisin’ joint jukin’ tin rippin’ shade of Blue. 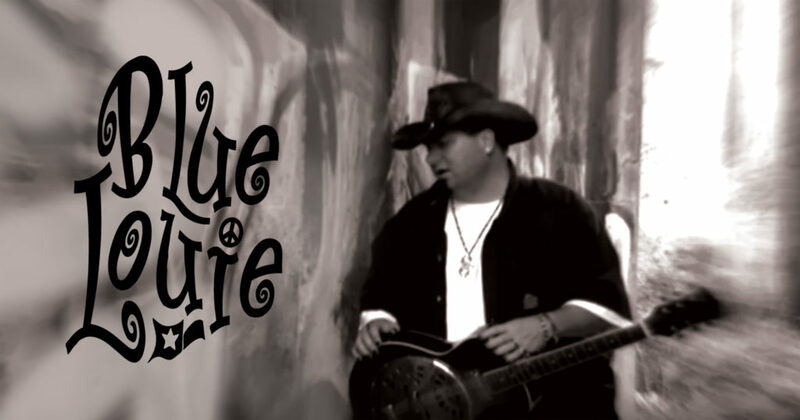 Blue Louie was formed in 1995 by Louie Jerger (vocals, guitar) and Marc Turner (guitar). Joined by Charlie Bullard (drums) and Jason Rasberry (bass guitar) the band quickly became a seasoned professional touring act. The band set out to bring a unique, high energy, brand of Texas blues rock to the U.S. and Europe, from L.A. to Memphis to Paris, Moscow and Madrid. The veteran Texas blues rock band continues to tour and are presently working on a new release set for early 2019. For booking call 409.256.5166, email thebluelouieband@gmail.com, or for videos and more go to BlueLouie.com.